As pre-professional students in the Saint Louis University Athletic Training Program, attending the Missouri Athletic Training Association Education Meeting in Fayette, Missouri was our first experience as to what it will be like to be an athletic trainer. It was a one day meeting on February 4, 2017. It was full of educational lectures and labs where we got to work with professional students and get hands on experience. The day ended with the MoATA Quiz Bowl, which tested our memory on anatomy and exposed to us what we will learn in our future classes. We learned about many things like sudden cardiac death in athletes and how to transition from academic to professional practice. We were also given a brief lecture before being able to experience hands on practice in myofascial release and kinesio-taping. Although we have not had all the classes necessary, the professional students answered any questions we had to get us through the lab portions of the day. 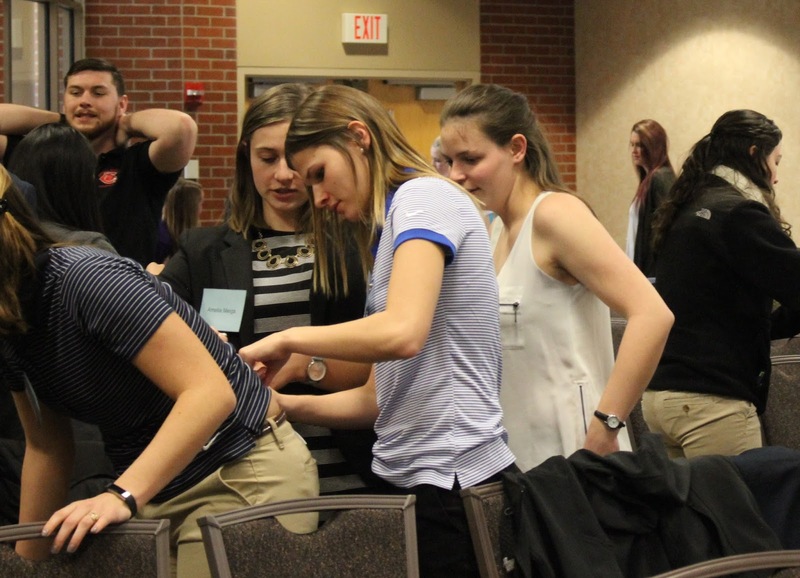 Being pre-professional students at MoATA was a great experience. It provided a lot of insight about what’s to come in our future practice as athletic trainers.